Todd Lammle, LLC Cisco Firepower & Pure FTD class will teach you the fundamentals from the ground up, with no Power Points & only real life labs, how to configure, monitor and troubleshoot Firepower, and truly understand the FTD packet flow, which is critical to managing enterprise level Firepower clients. This is the only pure security class with will also recert your Cisco CCNA & CCNP certifications. Layer 2-4 traffic that can be matched and either blocked or allowed with FastPath will be handled entirely in hardware. 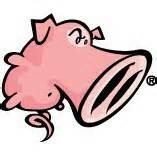 Layer 3 Security Intelligence is the first detection that occurs in the Snort process (Now called Firepower layer). All of this traffic will be blocked and no other additional inspection will occur. This optimized your treat monitoring by stopping active threat companies without the need for additional threat analysis. Understand that there are 2 main engines in the FTD unified software image: Lina and Snort. Lina is the ASA code that FTD runs on, and the snort process is the network analysis of the packets that goes from security intelligence (SI) through the ACP inspection of the traffic by the Snort IPS rules. The packet is inspected by the Snort engine, if configured to do so; this can include SI, IPS, AMP, URL filtering among other inspections. It’s important to note that the Snort engine does not drop anything, but instead marks the packet drop or forward, based on the snort verdict. Lina does the process of layer 2, routing, NAT, VPN, PreFilter, and layer 3-4 access control policy rules before the snort process takes over the analysis. The Lina code takes over again after the default action of the ACP and again does layer 2, routing, NAT, VPN, etc. After a packet makes it through the Lina without being killed by the PreFiler or layer 3/4 ACP, then it starts traversing the Snort process by going through the Layer 3 Security Intelligence (SI) White and Blacklist. If the packet does make it through the Blacklist, by either not being in the Blacklist or by being in the Whitelist (the Whitelist only exists to override the Blacklist), then application detection can take place. If there is an SSL policy, the packets can be decrypted and possibly dropped here, if not, it will then go through the L7 SI URL and DNS list and feeds. Authentication can now take place, either actively or passively via an Identity Policy. Now finally, the packets will be compared to the rules in the main Access Control policy (L7 ACL). Packets can be dropped, passed or even trusted and sent to Egress. It’s important to understand that the packets can be passed before the Snort process by using the PreFilter FastPath rules, or ACP layer 3/4 trust rules. However, remember that the PreFilter is only layer 3/4 whereas the ACP is through L7. Interface QoS policing can be applied here (but is actually enforced in LINA), and Network Discovery can be configured to either passively or actively gather host/user/application information to help in network analysis. If configured, URL filtering and the Malware/file policy will be enforced as well as the IPS rules against the traffic. AMP takes the packets and assembles them into files if they match the protocol in the file policy rule. Files that match the malware and file policy can be inspected against data in the cloud, have local malware checks performed or the files themselves may be transfered to a sandbox for inspection. If traffic makes it through the file inspection process it will finally be evaluated against the enabled Snort IPS rules. Finally, assuming the packets are still alive, the packets will be handed to the Lina process for layer 2, routing, NAT, VPN, etc. I cannot speak highly enough about this class. Almost everything I learned here was immediately applicable, absolutely practical and directly translated to my work. I put the skills, techniques and strategies into my production environment right away and was amazed at the difference in insight gained and effectiveness of this tool. Labs: There were so many labs. What sets this class apart is these aren't just "check-the-box" labs. They were explained, tested and directly translate into real-world use cases. Couple that with Todd and Eric having their hands on the student environments, bolstering understanding in all the parts of FTD that are business relevant. The Lab Materials: The Lab guide is a great deployment guide and invaluable reference resource. I will always have this manual within reach. The Training Environment: Perfectly resourced, flawless operation and is a LIVE, production environment. The training pods so closely resembled my production environment that there is nothing "lost in translation". much more I could say. I absolutely made the right choice for training. I feel that I got so much more than what was paid for this class. I'm much better equipped to protect my network. Great Job!